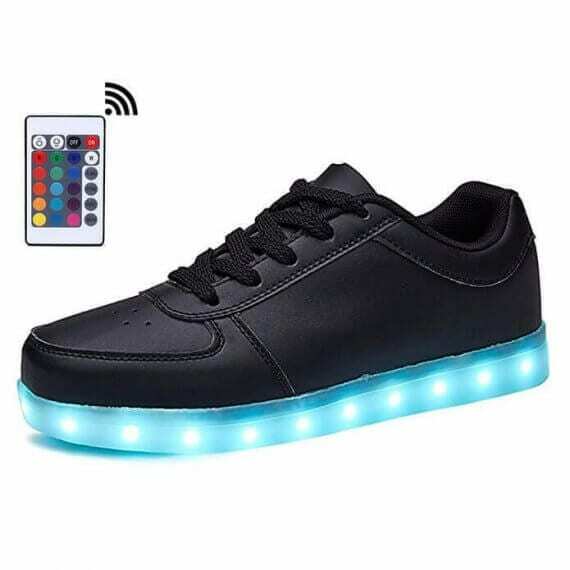 Shop our popular selection of light up shoes for men. 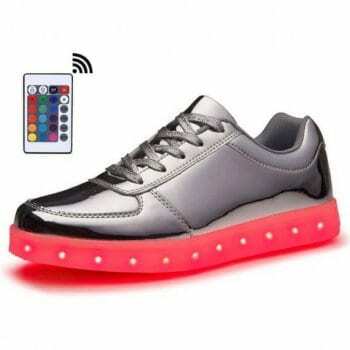 Our led shoes for adults come in different colors and feature multi color light up options. Are you up for a little twist with your footwear? 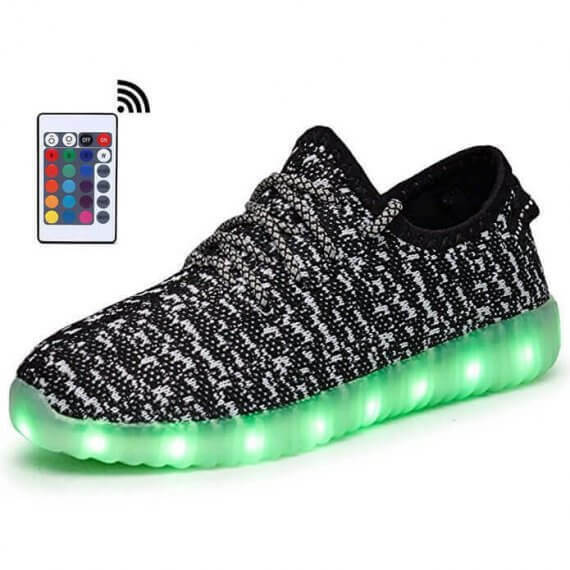 Try led up light shoes for men! These are the same shoes, sneakers more specifically, that you almost always wear on your casual days. 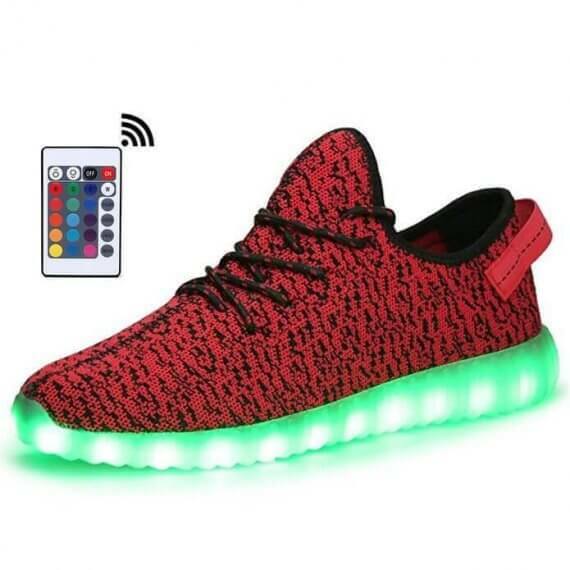 Only with a particular add-on you will definitely find most interesting: light up shoes. 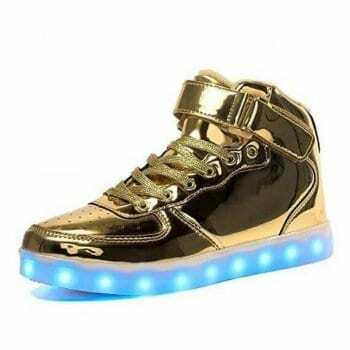 These shoes are called light up shoes because they are lit up at the soles. The varieties of available colors will light your feet up as you walk, especially in dark places. Talk about the perfect accessory to accompany you in your evening occasions! Plus, you get to choose which colors you want your feet to be lit up in. 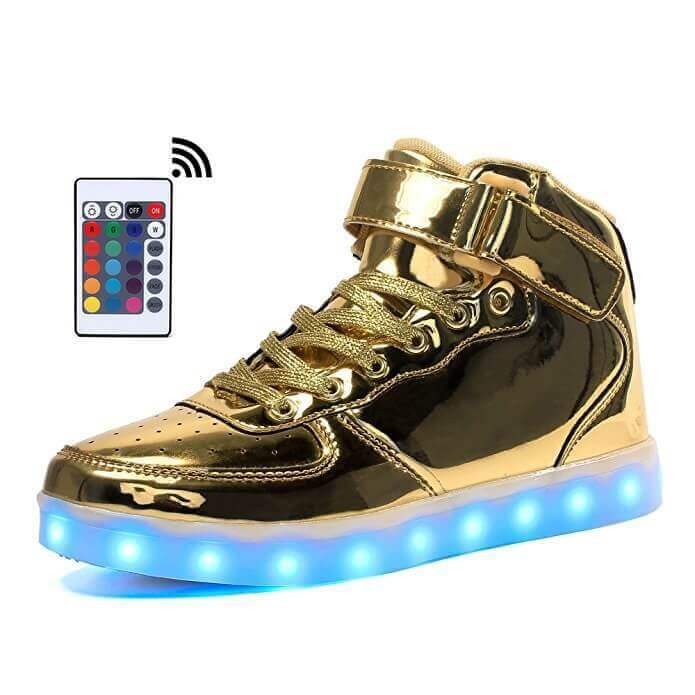 You only have to look among the men’s led sneakers available in various led shoes men sizes to find the perfect pair for you. 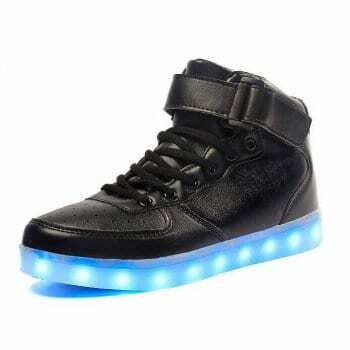 Wear these LED Light Up Trainers Men black shoes with gray patches to give your outfit a much needed flare. Blue sole lit up with white lights will make for a very striking finish. 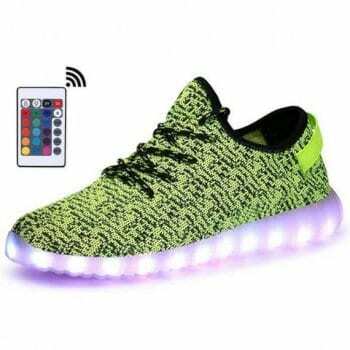 Make a unique statement with this pair of LED Light Up Trainers Men Green blotched with numerous black specks contrasted by purple LED light. 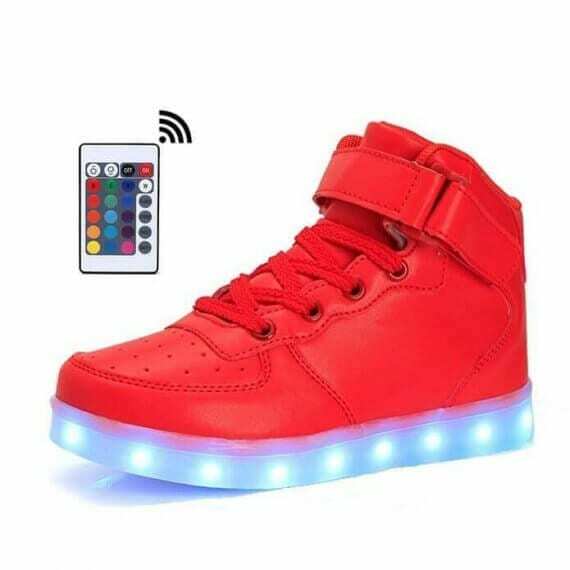 Try out this cool pair of LED Light Up Trainers Men Red sprinkled with black blotches with matching black shoelaces for a stunning ensemble. The green-lit sole will definitely add color to your look. Up for a little gothic look? 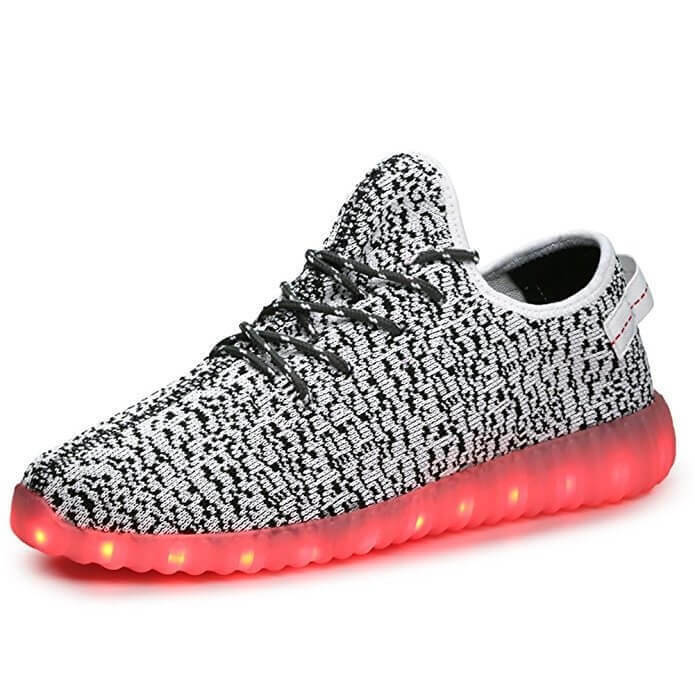 Put this LED Light Up Trainers Mens Gray on with black splatters that make for a unique, catchy pattern. The blood red light will surely give your attire a playful, dark look. The white stars placed against a dark-blue background with white-red stripes speak clearly of America. Do you want to channel the American spirit? 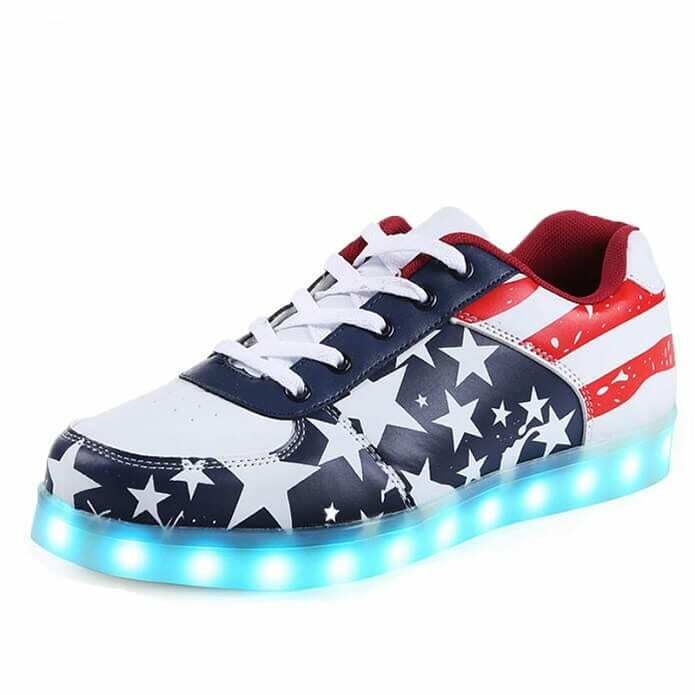 Adorn your feet with LED Shoes Men American Flag Low Top for a fun way of expressing your patriotism. The blue-white LED light will make for an excellent addition! Are you looking to find a pair of minimalist white sneakers that still looks catchy? 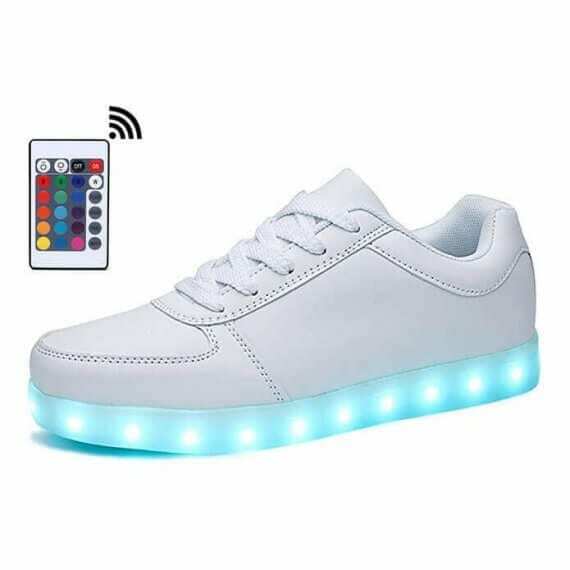 Grab this pair of LED Shoes Mens White Low Top for a good addition to your collection. It has a white overall with very few patterns that give it a clean look. 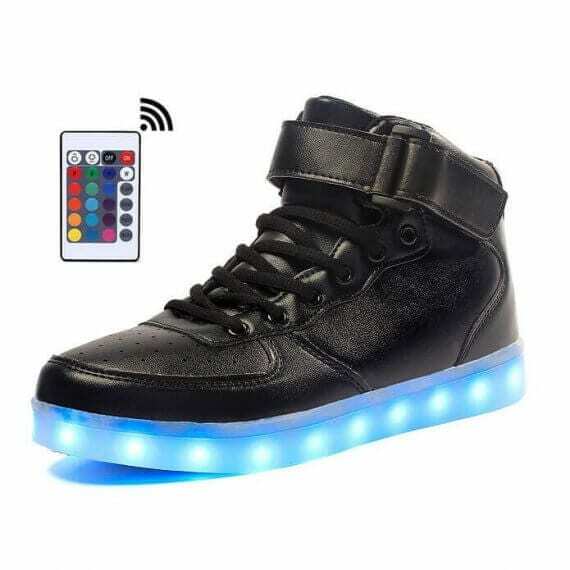 Its white sole is lit up with blue lights for a striking finish. Do you want white trainers that are a bit more stylish and edgy? 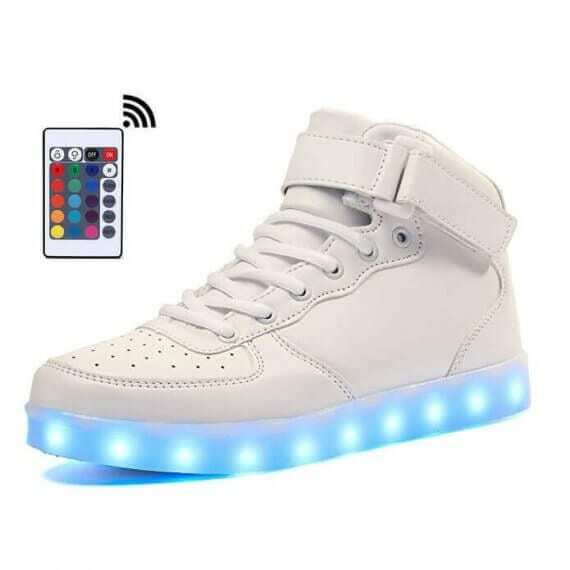 Try LED Shoes Mens White High Top that covers your feet all the way to the ankles. Its Velcro strap and green-lit sole will make up for a very fashionable staple. Feeling a bit adventurous? 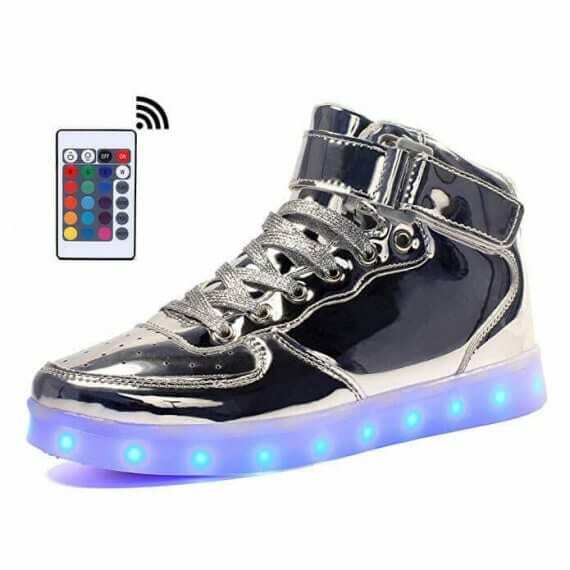 Put on these LED Shoes Mens Silver Low Top that is metallic in appearance. 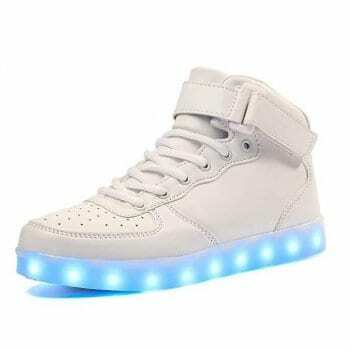 The white LED light will give you a knight-in-shining armor vibe that will catch the lady’s eye.